According to Ripen eCommerce, $3.38 trillion will be forfeited in abandoned shopping carts globally in 2015. To put that in perspective, that’s about $463 for every person around the world. So how can marketers cure their abandonment issues? While retargeting emails should be a no-brainer, a website that is user-friendly and easily navigable will make it harder for shoppers to leave in the first place. Take a look at nine ways to improve your site’s user experience, all backed by statistics from sources in the infographic below. 79% of shoppers consider online reviews as trust-worthy as personal recommendations. Solicit reviews via email, and make sure they’re easy to find on your site. 74% cite good customer service as a reason to spend more time online. Show that your site cares by installing live chat to provide immediate help during checkout. 16.9% of consumers said they choose to shop offline to protect their privacy. Give your site visitors piece of mind by displaying badges to show that payment is secure. 53% of CTAs take users more than three seconds to find. That’s too long for modern attention spans. Make it easy for consumers to find your CTA by implementing creative A/B tests. 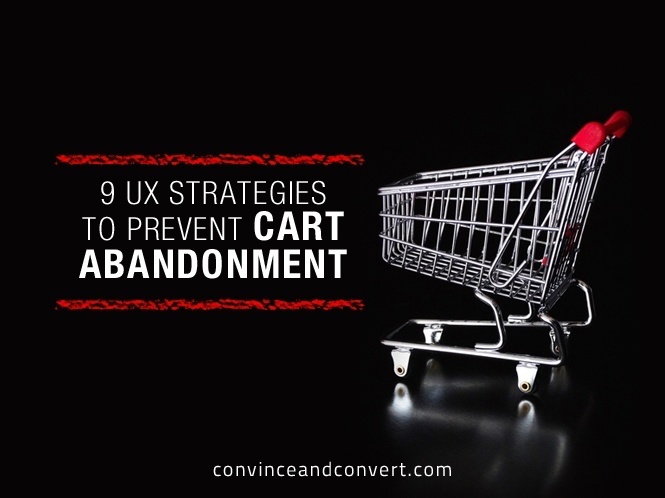 24% of shoppers say they’ve abandoned a cart because navigation felt too complicated. Display a “continue shopping” button after users have added something to their carts. 21% of people cite time constraints as a common reason for shopping cart abandonment, so offer a guest checkout option to speed up the process. 66% of consumers say return policies impact their decision to buy. Make your return policy highly visible during both browsing and checkout, and consider including free return labels with every purchase. 44% will abandon a cart because of shipping costs. Try to offer free shipping with a threshold slightly higher than your average order value. In most cases, the investment will pay for itself. 75% of cart abandoners say they plan to return to a site “later on” or go to a store to complete a purchase, but you can use inventory counters and/or limited time offers to compel shoppers to complete a sale. Check out Ripen’s infographic for more ways to address shopping cart abandonment. Infographic republished with permission from the Ripen eCommerce blog. Stephanie Orfanakos is a member of the marketing team at Ripen eCommerce, a full-service digital agency offering web development, design, and marketing solutions for online retailers.